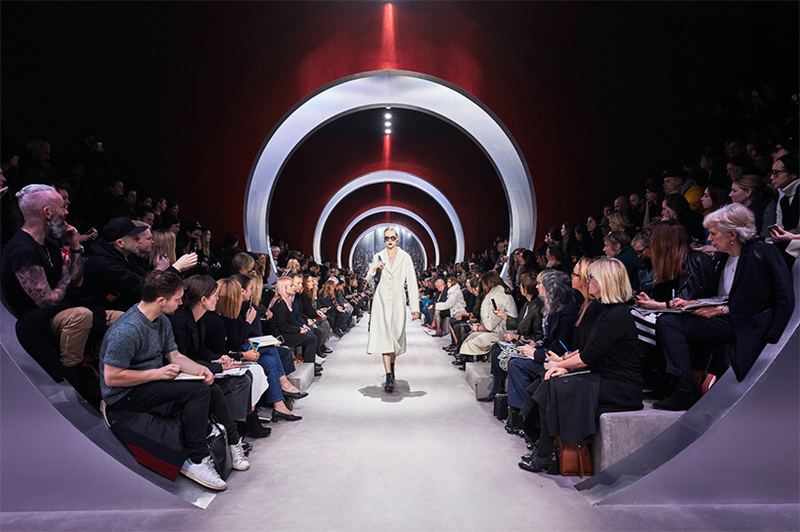 When we thought having seen it all with the past seasons, for its FW16 presentation at Paris Fashion Week, Dior collaborated once again with the renowned firm specialized in fashion shows planning and design, bureau betak. The 'Mirror-clad' set was breathtaking ! 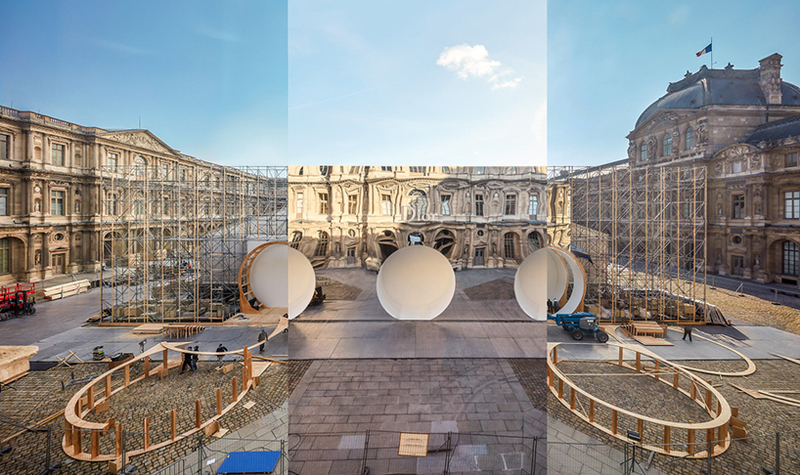 Arranged in the emblematic louvre's courtyard, a gigantic mirror was facing the imposing museum wing, creating an astonishing abstract reflection of the typical parisian architecture. 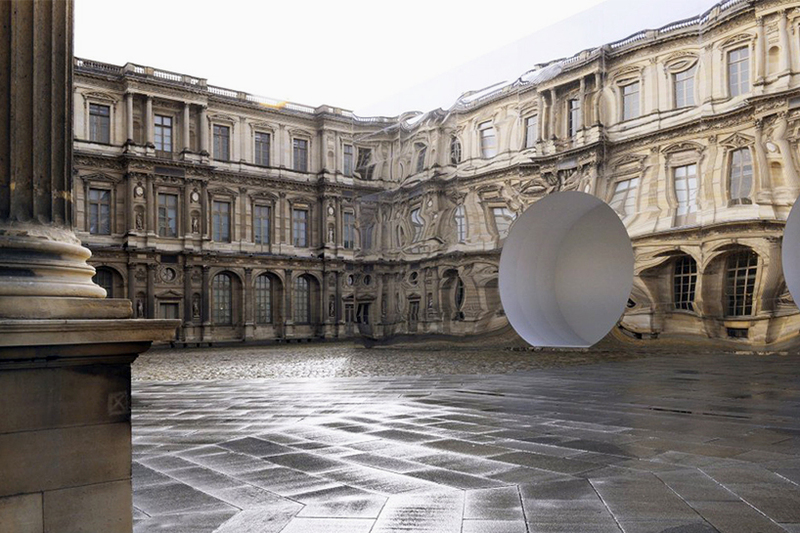 Although fading away, the whole structure was yet, impressive, giving to the arriving spectators a surreal feeling. And... That's not it, visitors got access to the show by walking through futuristic tubes, leading them to the catwalk, set up in disproportionate tunnels covered of iron and red velvet. A stirring experience into Dior world !